I painted my concrete porch and the paint is bubbling up. I used the correct type of paint and followed all instructions. The porch was dry, I used a paint that was designed for exterior concrete, but the porch still got paint air bubbles and blisters. Can you advise as to why the paint may have bubbled up? I am going to have to scrape the paint off since it bubbled up. Can you also advise me on how to remove the paint so I can repaint the porch the correct way? 1 – MOISTURE was trapped in the concrete. 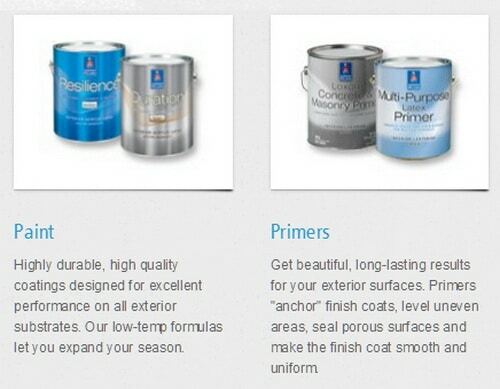 2 – A PRIMER was not used or the wrong type of primer/sealer was used. 3 – The WRONG PAINT was used. 4 – The concrete was NOT CLEAN when painted. 5 – Excessive HIGH HUMIDITY occurred before/during/after painting. 6 – Did not allow SUFFICIENT DRYING TIME after cleaning. 1 – Remove any grease or oil stains to allow primer and paint to adhere. 2 – Sand the surface of the concrete to smooth any rough edges. 3 – Make sure the concrete porch is clean. 4 – Make sure the concrete porch is completely dry. 5 – Avoid painting exterior concrete in the winter or during cold weather. 6 – Allow 2 weeks of hot low humidity weather before painting. 7 – Paint the concrete porch when the temperature is above 65 F or 19 C.
8 – Use one coat of Heavy Duty Concrete Primer Sealer to prime and seal the surface. 9 – Use two coats of Professional Concrete Paint (Let dry between each coat). 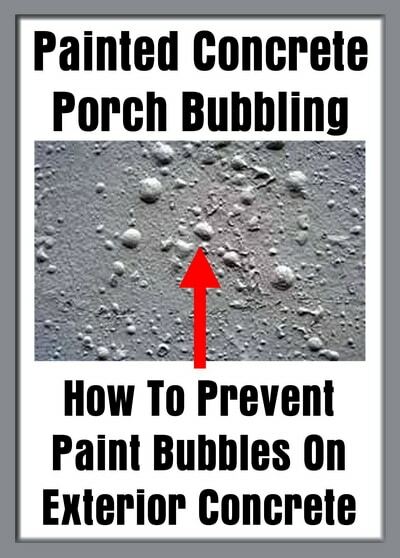 Use a pressure washer and remove all paint on the concrete porch. Allow two weeks of hot low humidity weather before repainting. If the concrete is not fully dry and you need to paint it ASAP, you can carefully use a propane weed torch to dry the concrete out. There are other methods to drying the concrete if you do not want to use a propane weed torch. You can use an industrial portable gas heater, or a large industrial fan to speed up the evaporation process. Once the surface is completely dry… prep, clean, prime, paint, and done. 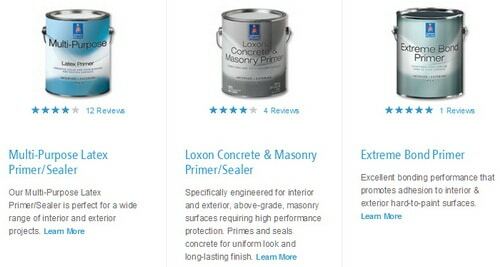 Use a premium paint and primer for concrete from paint companies such as Benjamin Moore or Sherwin Williams for best results. 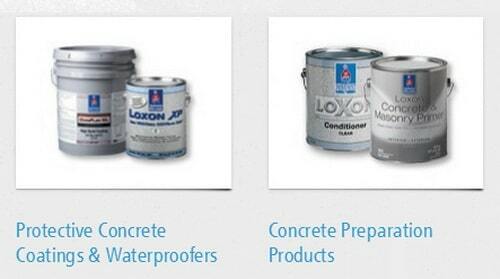 Use one coat of premium concrete primer… then let the primer fully dry. Next, add one coat of premium finish concrete paint. Let the first coat fully dry. Then add the second coat over top the first and let fully dry. If the concrete was not wet, you used the correct type of primer and paint, and you allowed the coats of primer and paint to dry in layers, you should have a concrete porch that will be bubble free and last for years. When a concrete porch is painted and the paint begins to dry… Moisture that was trapped in the concrete begins to evaporate when the temperature goes up. This allows the moisture deep in the concrete to come up to the surface and cause bubbles and blisters in the paint. Always be sure the concrete is dry by allowing 2 weeks of hot weather and low humidity before painting. Previous post: TV Wall Mounting – What Type Of Screws Do I Need From Wall Bracket To TV? Next post: LG Dryer Error Codes D80 D90 D95 – How To Clear The Error Code?